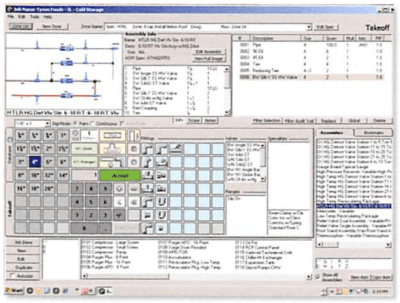 Many refrigeration contractors choose QuoteSoft Ammonia Pipe Refrigeration Module as their estimating solution. QuoteSoft estimating enables you to stay on top of the estimating process from start to finish thanks to our easy-to-use architecture, ammonia refrigeration database, and integration with pricing models such as CINX, HPH Harrison, Trade Service, and Allpriser Ltd. By automating and streamlining your estimating processes, every detail of your bid is accounted for and your cost projections are accurate. To that end, we have included the Hansen, DanFoss, and RS/Parker ammonia valves in our database. 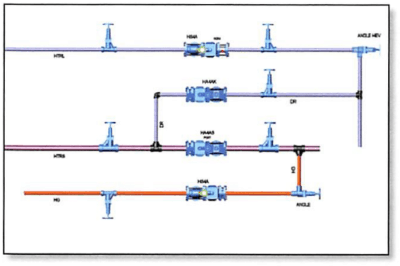 We have also included the typical equipment connections and valve station assemblies that you use on every job. This allows your design/build process to be quicker, more accurate, and allows value engineering in a fraction of the time it now takes you to bid and analyze a project. Call 800-813-7020 Today for a Demonstration of QuoteSoft! With QuoteSoft, you can feel confident about material pricing and labor from the start of your estimate to project completion. We help you save time, minimize risk, and maximize your profits by automating your estimation process. We designed the QuoteSoft Pipe Ammonia Refrigeration template to help you meet these challenges and make your bids more profitable. We’ve included the necessary specifications, assemblies, and industry-specific equipment in our “out of the box” software. Our user-friendly interface with point & click takeoff allows you to rapidly learn and move through the set-up and estimating process. Included ammonia refrigeration templates, database, specifications, and assemblies.